Niagara College Teaching Winery…. Canada’s teaching winery! https://www.thewineladies.com/wp-content/uploads/2017/08/WineLadiesLogoTransparent.png 0 0 Susanne Seelig-Mense https://www.thewineladies.com/wp-content/uploads/2017/08/WineLadiesLogoTransparent.png Susanne Seelig-Mense2009-01-31 12:00:012009-01-31 12:00:01Niagara College Teaching Winery.... Canada's teaching winery! Wine and cheese, the classic pairing! I am hosting a wine and cheese bridal shower for my daughter and am not very familiar with wine information. There will be approximately 40 women. I would like to serve a variety of wines but have no idea what kind of wines I should buy. Can you offer me some suggestions? https://www.thewineladies.com/wp-content/uploads/2017/08/WineLadiesLogoTransparent.png 0 0 Susanne Seelig-Mense https://www.thewineladies.com/wp-content/uploads/2017/08/WineLadiesLogoTransparent.png Susanne Seelig-Mense2009-01-29 12:00:012009-01-29 12:00:01Wine and cheese, the classic pairing! Icewine, drink it now or later? At the icewine festival this weekend I tasted a delicious Vidal icewine which I learned was aged in oak. Is this typical? Are icewines ok to age or should they be consumed when young? https://www.thewineladies.com/wp-content/uploads/2017/08/WineLadiesLogoTransparent.png 0 0 Susanne Seelig-Mense https://www.thewineladies.com/wp-content/uploads/2017/08/WineLadiesLogoTransparent.png Susanne Seelig-Mense2009-01-29 12:00:012009-01-29 12:00:01Icewine, drink it now or later? Check out what’s happening this Saturday at 10AM on The Wine Ladies Radio Show on 1050CHUM. George Wyndham, known as the father of Australian Shiraz planted Australia’s first commercial Shiraz vineyard in 1830 and has made this variety its signature grape. 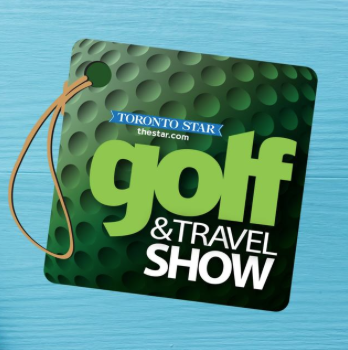 We are inviting you to join us at the 20th Annual Toronto Star Golf & Travel Show, the largest consumer golf show in North America. Three days in spring of golf, golf, golf! Golf courses, golf destinations, demonstrations by leading golf pros, golf equipment, accessories. And now The Wine Ladies featuring Greg Norman, Nick Faldo and Mike Weir!. Well maybe not any of these great golfers in person but their wines anyway! Georgia is known for playing 36 holes straight, carrying her bag and running from hole to hole with excitement, while I (Susanne) am mostly known for the 19th hole when it comes to playing golf. Be sure to join us at the Golf & Travel Show while we drive home the illustrious points of wines tasting as we sniff, swirl and slurp the wines of these iconic golfers. It is sure to be a hole in one! Also be sure to tune in to our radio show on Saturday, February 21st, 2008 on 1050 CHUM (or listen online) at 10:00am as we interview the folks from the Golf& Travel Show as well as some other surprise celebrity guests. Lots of prizes for golfers and wine lovers alike including passes to the Golf & Travel Show to all callers. Call in at 1-866-444-8326 or toll free 1-866-444-8326. We would love to hear from you. There will be lots to do for the whole family at the show. Here are just a few highlights. Get great tips from Ontario PGA pros for adults & juniors! Pizza Pizza sponsors the Junior Zone and Clubs for Kids: Junior Golfers can participate in the Pizza Pizza putting challenge and win a free club. Free clubs will be given out to the first 200 kids to participate each day. Over 5,000 Free rounds of golf will be given away at the show! Book your round at the Play Golf Ontario Pavilion. Everything a golfer could want under one roof. Adults $15. Seniors $11. Kids under 12 FREE with adult. Visit the Toronto Golf Show Website. Does the “nose” of a wine just mean its smell or is it more complicated than that? See what’s on The Wine Ladies Radio Show this Saturday, January 24th at 10AM on 1050CHUM.